1.9.5 Amazing Tours in Rome – Book Today! 1.12 Road Trip Tuscany : On the movie-set of Gladiator! 1.13 Adventure Road Trip Tours in Tuscany! During my 30,000 Km. road trip through 41 European countries, I finally arrived in the beautiful country of Italy. Making my way through the stunning Swiss Alps and racing the famous St. Gotthard pass was definitely a great warm-up for what I was about the experience on my Italy road trip. It does not matter if you are doing the road trip Milan to Venice or the road trip Venice to Rome. I say 3 words: Road trip in “Italia”!! My answer would be: a year! But of course I understand that it is not possible for everybody, therefore I will show you how to enjoy the famous italian roads in just 2 weeks with my Italy road trip guide. The road trip would start at the beautiful lake Como whilst slowly driving to the fashion capital of the world: Milan! After that I visited the famous romantic city of Venice and did I end up in one of the smallest countries in the world, called San Marino. Of course, I could not miss the capital Rome and the beautiful city of Naples. On my way up back North, I drove through Tuscany and finally ended up visiting the famous tower of Pisa. Only in Rome and Venice did I take a metro and/or bus to get to the city center. I would park the car just outside of the city as traffic can be a nightmare in these cities. Yes indeed, driving in Italy surely is a great adventure! Renting a car in Italy is not complicated, but you need to follow a few basic steps. First of all, it is important that your driver’s license is a valid EU license. This can either be a European drivers license or an international drivers license if you are from the America’s or Canada. At the airport you will find all the international car rental companies. If you arrive by plane you can start your road trip adventure from almost any large city. Driving a car in Italy can be a very interesting experience. Although the traffic rules are overall the same as in the rest of Europe, there are a few exceptions that you need to follow. In italy almost all the mayor highways are toll roads. Therefore, you will need to pay at each crossing with either your creditcard or by cash. When you want to pay with card make sure you enter the line that states “Cartasi” or “Carte”. If you do not pay your toll there is a big chance you will get a fine. This will be done by mail to the address on which the license plate is registered. It has to go through the European Municipality Outsourcing (EMO), therefore it can take several months before you are notified of your traffic valuation. Lake Como is located a few kilometer next to the Swiss border. This famous lake is 46 km long from north to south and has a surface area of 142 km2. It is the third largest lake in Italy and has been used in many Hollywood movies, like: StarWars Episode 2 – Attack of the Clones (2002) , James Bond – Casino Royale (2006) and Ocean’s Twelve (2004) with George Clooney and Brad Pitt. They also say that George Clooney owns a villa here, but unfortunate I did not run into him! It takes about a full day to drive around the whole lake, but I recommend you go early as possible. I arrived at 10 AM and the roads were full. This is a very touristic destination, therefore keep in mind that the prices or much higher in the restaurants and café. Click Here To Find The Latest Deals & Best Prices for Hotels, Campings and Apartments at Lake Como! I did not know much about Milan when visiting the city. I only associated the city with being the fashion capital of the world and that all the luxury fashion chains would be present here. Thankfully, it was that and much more. Milan is a clean and trendy city and spending a few summer days was not a problem at all. I recommend visiting the Gothic Duomo Di Milano Cathedral and if you have time “The Last Supper” of Leonardo da Vinci. Parking in Milan is an absolute nightmare. I parked my Volkswagen Beetle at Borromeo Parking and it is the perfect location as it just a 10-minute walk to the city centre. Unfortunately, I paid close to 4,50 Euro per hour, which is considered cheap in Milan! This famous indoor shopping mall is the number one tourist attraction in Milan. It is a display of stunning architecture, art and a lot of very expensive designer stores. A great place for photography and to max out your creditcard! Nex to shopping you can also enjoy the finest cuisines and cafes and there is even a 7-star hotel. Click Here To Find The Latest Deals & Best Prices for Hotels, Campings and Apartments in Milan! Venice.. the city of love.. the city of Casanova and its romantic little channels. This beautiful municipality is divided by 118 small islands and is definitely a must-see when you are doing a Italy road trip. The downside? It gets so busy that it will be impossible for you to get even close to the city by car. But let’s be honest here, you should not explore the stunning architecture by car, but by boat of course! San Marco Church in Venice. A must-see on your Italian road trip! Therefore, I recommend you either park you car by the Garage Communal AVM. Cost for parking are just 25 Euro for the whole day and it is located about 5 minutes from the first ferry point: Pe. Le Roma. Buy a one-way ferry ticket from this point to San Marco Church (30 minutes) for just 12 Euro and you are good to go. This ferry will show you the most amazing buildings in Venice and is cheaper compared to the gondola tours. The private Gondola tours start at 80 Euro (daytime) to 100 Euro (nighttime) for 2 persons for 30-40 minutes. Just do not expect any romantic privacy, as the channels are absolutly flooded with them. If you do want so privacy, make sure you pay some extra cash and for sure he will take you to more non-touristic route. I also recommend you make a reservation beforehand, because the prices are much more expensive when you buy a ticket on the spot. You can save up to 40% by ordering online! Click Here to Order Your Gondola Tour Online With A Discount! The Venice free walking tour team will walk you through the history of Venice, from its legendary foundation on several muddy islands of the lagoon to becoming the most important trading city in Europe. I took my tour at 4.00 PM, and it is was worth every second of it. The guide was amazing and showed us all the hidden gems of the north part of the city. I highly recommend booking a free tour and afterwards you can always leave a donation if you are happy with guide and quality of the tour. Click Here To Find The Latest Deals & Best Prices for Hotels, Campings and Apartments in Venice! After several busy days in the big city it was time to relax in the beach-town of Rimini. I did not stay down-town as I knew it would be busy, but the beach of Rimini stretches all the way into the suburbs. Here I found a small little family guesthouse for just 25 Euro per night (including breakfast) and free parking. It was located just 100 meter from the beach. Ah.. Just the way I like it! And my neighbour and I had something in common. Our passion for Volkswagen! Click Here To Find The Latest Deals & Best Prices for Hotels, Campings and Apartments in Rimini! After spending several days working on my tan it was time to hit the road and visit one of the smallest countries in the world: San Marino! This little country is located nearby Rimini and it will take you less than an hour to get there. San Marino is a so-called “microstate” in the middle of Italy. It inhabits 33,562 people and has the smallest population in Europe. It receives about 2 million tourists a year, which mostly visit the popular “Three Towers of San Marino” on top of the mountain. This famous attraction can be visited for free, but you do pay a small fee to get in to each tower. Parking the car is very cheap and I paid 1,50 Euro per hour. Rome is a whole different story when it comes to driving your car. It is absolutely true that Italians drive like crazy people, but in Rome they seem to take it to whole new level. Thankfully, I was prepared and decided to park my car at a small family owned parking business called: Garage Central Rome. This parking location is the best I have encountered. The owner and his son are very friendly and they explained all about how we should visit Rome and what tourist traps we should avoid. Click Here To Find The Latest Deals & Best Prices for Hotels, Campings and Apartments in Rome! The Valle Aurelia Metro Station is a 5-minute walk from the garage park. There you can buy a one-way ticket for 3 Euro per person to the city center. Take the exit “Termini” and from there start exploring the beautiful city center. From there you can walk down the busy main-street towards the “Altar of the Fatherland”. The walk is about 25 minutes. My route: Altare della Patria, Colosseum and the metro again to the Trevi fountain and ended the day with a visit to Vatican City. The ‘Altar of the Fatherland’ (Altare della Patria) is the largest national monument in Italy. This stunning piece of architecture was built for King Vittorio Emanuele II of Savoy. It received its name, because the kind was known as Gentleman King’ and the ‘Father of the Nation’ , therefore the monument dedicated to honor his time as king. The entrance is for free, but there are some rules you need to follow. You are not allowed to sit on the big stairs or any other section and of course it is not allowed to climb on any of the moments. Common sense really, but you would be surprised how many tourists still “ignore” these rules to get that perfect selfie. The next stop is the famous Colosseum. There is no introduction needed for this beauty and you can literally buy your tickets at any place. Just keep in mind that you buy it from a kiosk, shop or official ticket office and not from an “African Gentleman” who offers you his “special price”! Ticket prices range from 20 Euro for groups tours to 55 Euro for small private tours. All prices are per person and a tour takes about 3 hours. The Fontana di Trevi – or Trevi Fountain in English -is a fountain in Rome, Italy. It is the largest Baroque fountain in the city and the most beautiful in the world. A traditional legend holds that if visitors throw a coin into the fountain, they are ensured a return to Rome. The fountain is worldwide famous but many people do not know the history and the secrets hidden behind its construction. It is time to do justice to this extraordinary masterpiece of Italian art. Amazing Tours in Rome – Book Today! Naples is the second largest city of Italy and is famous for its amazing architecture. I made a short visit to the Teatro di San Carlo and even thought there was no performance I still got a sneak peek in this beautiful place. It helps having a travel blog and one the managers was a big fan. Next stop was the Catacombe di San Gennaro as I had my fair share of fancy buildings already in Rome. The catacombs were built with three different types of tombs. Based on your wealth and social class you could decide in which section you would be buried. Basically, if you were poor you would be buried at the floor tombs, whilst the middle classes were a level above that. The beautiful chambers were very the rich and important political figures. In the evening I finally enjoyed a real pizza from Naples. It tastes really amazing, but you will have to find a good restaurant outside of the city centre. In the centre you will notice that most restaurants are not traditional ones, but run and operated by Indian and Chinese managers. Of course, there is nothing wrong with that, but if you want a real Italian chef you need to look around a bit outside of old-town. Click Here To Find The Latest Deals & Best Prices for Hotels, Campings and Apartments in Naples! 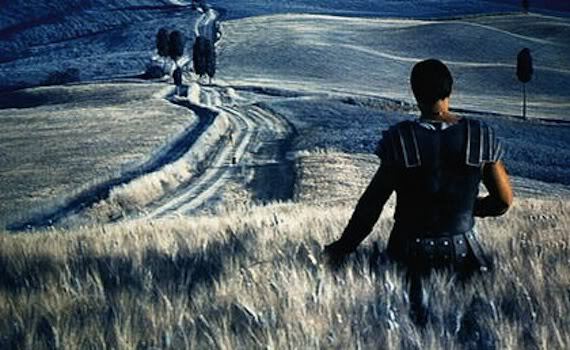 Road Trip Tuscany : On the movie-set of Gladiator! Visiting two large cities really take a lot of energy from you and it was time to enjoy the country-side of Italy. What better way to do this then a visit to the beautiful Tuscany region. I wrote a separate blog post about my road trip in Tuscany as it was just too much fun. Adventure Road Trip Tours in Tuscany! Click Here To Find The Latest Deals & Best Prices for Hotels, Campings and Apartments in Florence! My road trip in Italy had come to an end. My final stop would be at the famous leaning toward of Pisa. Thankfully, I bought my ticket beforehand as it was already so busy that I even had to wait 45 minutes in line to use the restroom! The square itself is not very big and if you are not interested to wait for 2 hours in line, you can actually see the whole square in under an hour. But if you are planning to go inside like I did, buy that ticket beforehand! Trust me, you do not want to wait that long outside. 🙂 I purchased the combi-ticket for the Tower & Cathedral and it was totally worth it! It was a great sight to see and of course everybody was making their original “pushing against the tower” photo. I just kept it with at a big smile, because I was very happy I had such an amazing Italian road trip. After the town of Pisa, I came across Cinque Terre. I planned a hike using this amazing guide: Hiking the Cinque Terre paths. Unfortunately, I had 3 days of very bad-weather and decided to continue my journey to Monaco, France. My Italy Road trip was an amazing experience and I highly recommend traveling through this amazing country by car!